Westin black Pro Traxx 5" wheel to wheel nerf bars are just what your vehicle needs to upgrade not only its appeal but its function. Westin doesn't shy away from excellence when it comes to these step bars. They are the perfect choice when wanting a full length bar for your ride. Crafted from heavy-duty steel, each Pro-Traxx 5" bar is coated in a durable black powder-coat. Made into a 5" tube design, the durability is second to none. Not only that but there is no drilling required and each bar features anti-slip step pads. Every order of the Westin black Pro-Traxx 5" wheel to wheel nerf bars is sold as a pair. Backed by a three year warranty, Westin stands behind the quality of their products. What are you waiting for? Order yours today! 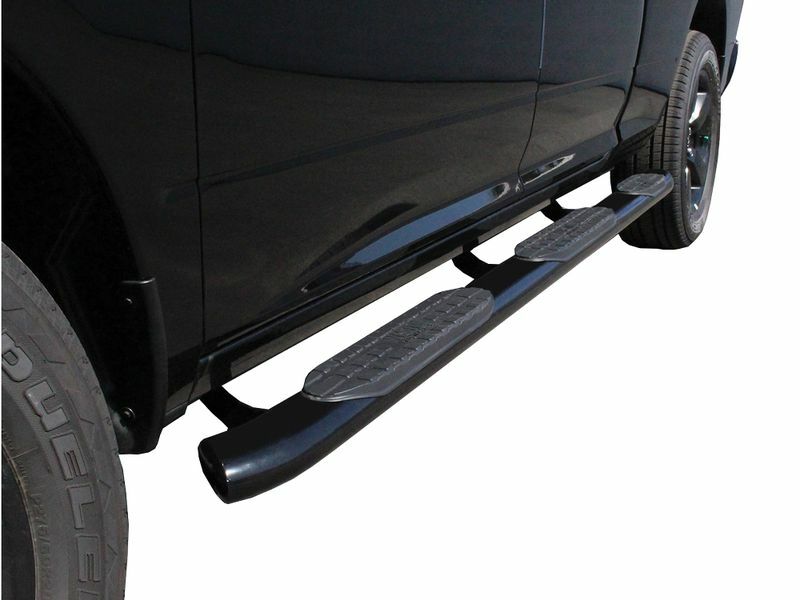 Westin Black Pro Traxx 5" wheel to wheel nerf bars are backed by a three year warranty. The Westin Pro Traxx 5" wheel to wheel nerf are vehicle specific for easy installation. All the hardware comes with and easy to read instructions. If you have any questions, don't hesitate to give our friendly customer loyalty specialists a call.